Need a humidifier? 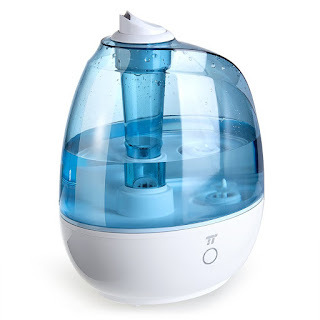 Right now you can get this TaoTronics 2L Cool Mist Ultrasonic Humidifier for ONLY $31.99 (Retail $49.99)! -360° Nozzle for Ideal Mist: Swivel the mist outlet exactly to the position you want and choose between the high and low misting modes【NOTE】Not Essential Oil and Do not place the humidifier on a carpet or towel.